Please download the Pali High Athletic Packet which includes our physical form and instructions on how to complete the rest of the required paperwork. All Parents/Guardians of athletes, and all athletes themselves, must complete their Athletic Clearance Online Registration at www.athleticclearance.com for each school year they participate in a PCHS sport. Athletic Screening “PHYSICALS” are mandated by CIF rules once a year for all those trying out or participating in Athletics. ALL Incoming Freshmen Athletes that plan to tryout for a sport must have their physical before the first day of tryouts. NO EXCEPTIONS! If your student/athlete has not had a complete physical in some time, you may want to consider a complete physical with your physician. PHYSICALS SHOULD BE TURNED DIRECTLY INTO THE COACH OF THE TEAM YOU ARE TRYING OUT FOR. Emergency Cards MUST be on file with the appropriate coach to participate in tryouts. Official tryouts for sports will be held during 7th period (2:13 p.m. - 3:08 p.m.) unless otherwise posted. Teams may hold "workouts" at different times throughout the year. Please consult with the current coach for information regarding those "workout" start and finish times. Students may ride the late bus for free with a note from their coach on these days. To pursue academic and athletic excellence through participation in a high-quality athletic program which is committed to a values-based philosophy of sport which emphasizes the ideals of Pursuing Victory with Honor. 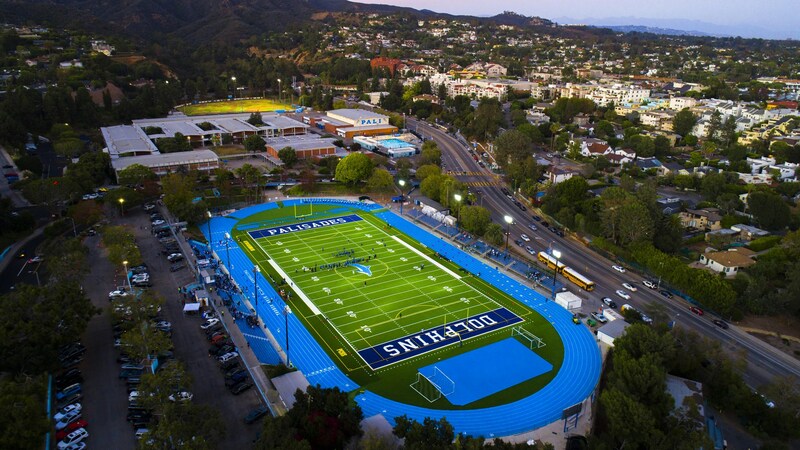 The mission of the athletic program at Palisades Charter High School is to develop the student-athlete academically, physically, emotionally and socially by pursuing athletic excellence within a values-based sports program which is dedicated to the ideals of Pursuing Victory with Honor.